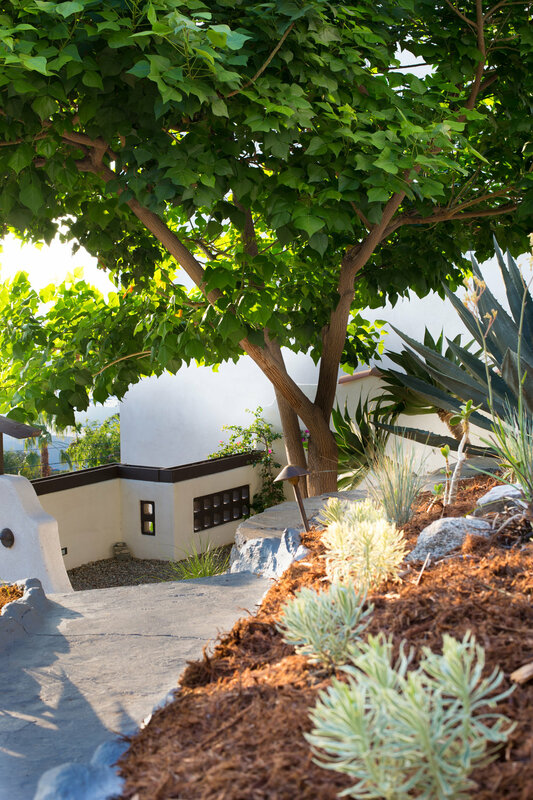 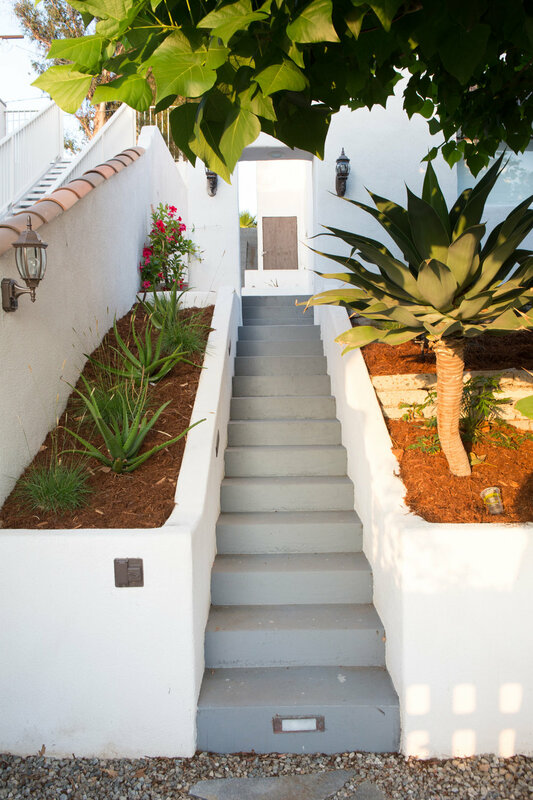 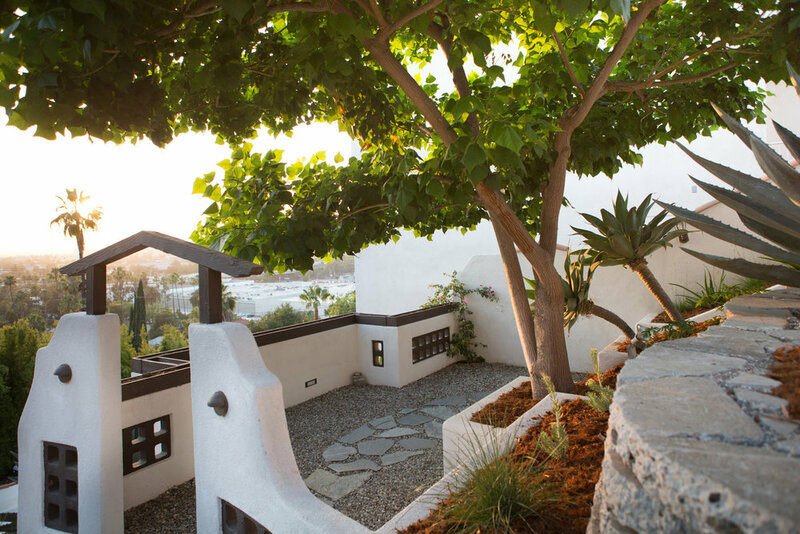 Reminiscent of Italy's Amalfi Coast, urbanite terraced planters provide a resilient structure, decorating the slopes of this Spanish themed Eagle Rock residence. 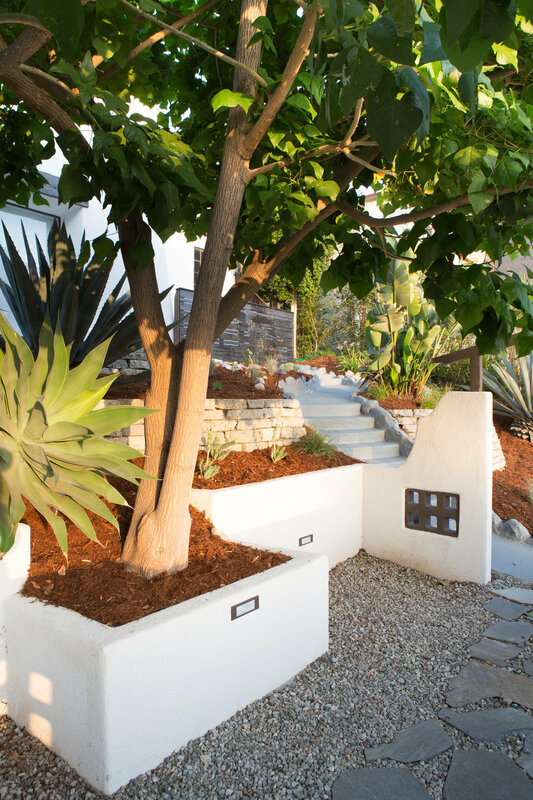 Natural Earth repurposed concrete to construct the terraces. 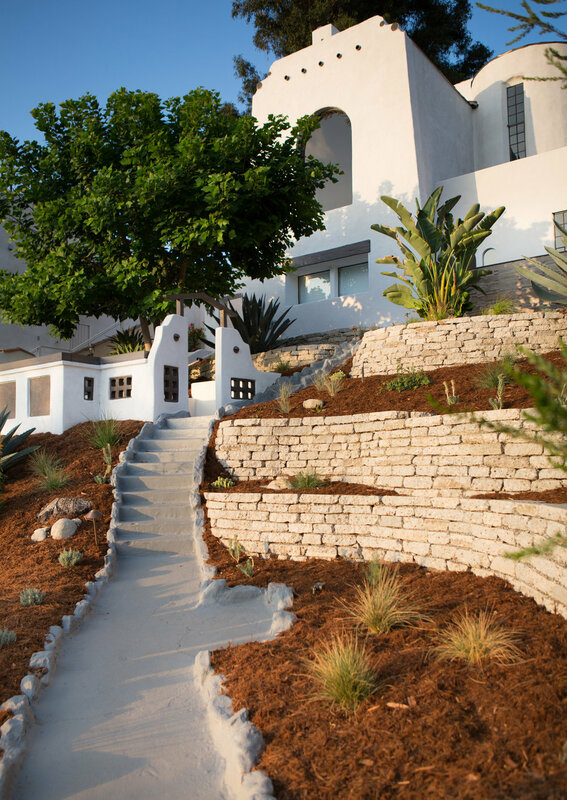 We introduced curvilinear lines to etch out space for thick swathes of blue oat grass, dear grass and aloes. 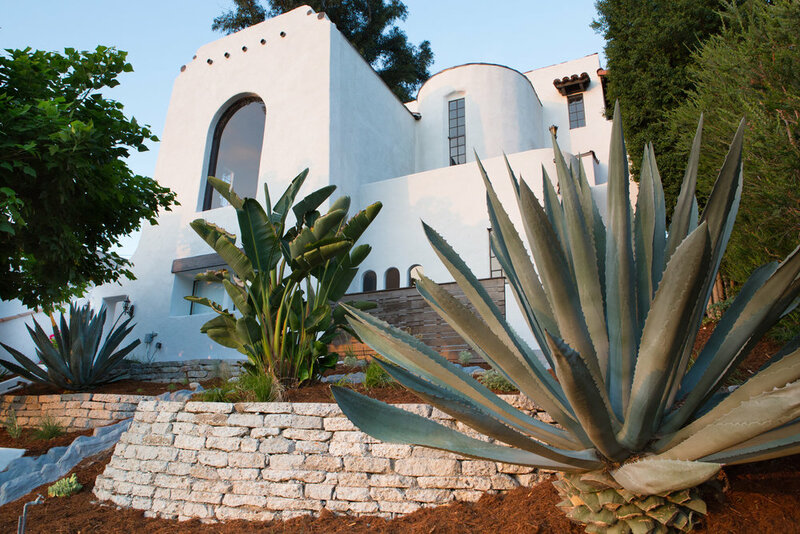 The home, with its smooth stucco finish ads subtleness to the punctuating presence of the family of americana agave that march down the hill side to greet visitors below.